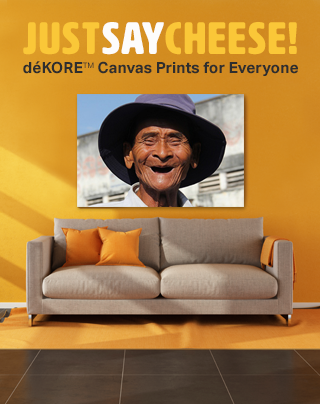 Just Say Cheese - DeKORE Canvas Prints For Everyone! Turn your digital photos into stunning déKORE™ prints with Just Say Cheese! 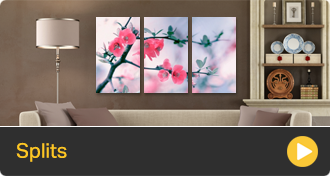 Our unique, patented process makes it affordable to decorate your space without sacrificing quality. 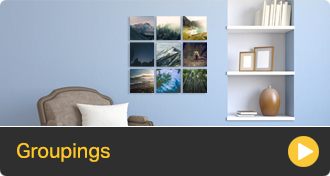 Compared to traditional gallery wrapped canvas you can now afford to rotate out your prints and keep your memories fresh on your walls! Our déKORE™ custom prints are handcrafted by people just like you right here in the USA, and come ready to hang. No hammer, no nails, no holes. Your walls and your wallet will thank you. Don't let your life get ahead of your déKORE™ - Take more pictures and post them to your walls!